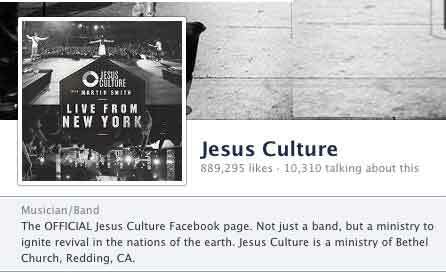 UPDATE: JESUS CULTURE—YOU SURE IT’S THE REAL JESUS? 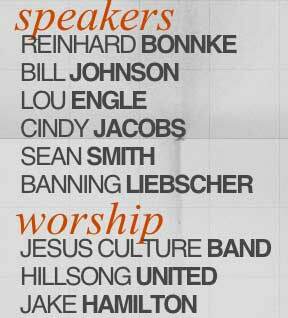 I told you here at Apprising Ministries in Beth Moore And John Piper Set For Passion 2013 With Louie Giglio that once again those two well-respected mainstream evangelicals would be appearing at Giglio’s Passion conference which, as of this writing, is in full swing. The group’s website tells us that it was spawned out of the youth group at Bill Johnson’s Bethel Church in Redding, California. Obviously, we’re dealing with an absolute theological train wreck at Bethel Church (BC). However, as Benziger points out, this is the pastor and pastrix and church from which the Jesus Culture (JC) phenomenon has come. So, JC itself is quick to point out that they’re not “just a band, but…a ministry of Bethel Church.” Therefore, now that Louie Giglio has made the decision to bring JC to his Passion 2013, JC itself witnesses for BC. As such, we have every right to examine the theology taught to JC by pastor Bill and pastrix Brenda at their BC since they are an extension of that church. This all goes to the credibility of JC and their ministry. The clip comes about two-thirds of the way in. I caution you that what you’re about to hear quickly goes from mildly annoying to blasphemous. It also become quite clear that Kim Walker-Smith is spiritually clueless. Before we get to that, it’s important that I give you the proper context from which to view the over-arching mission of JC. We get a clearer picture as to just how nefarious this group is spiritually looking at Awakening 2011 (A2011). Kim Walker-Smith claims that she spoke with Jesus, that He cuddled her, and that she saw God the Father. And while she acknowledges that such visions are not regular occurrences, she nevertheless indicates that she’s had multiple encounters with Him. Here’s the bottom line: All of this kind of WF/NAR skubalon is what Louie Giglio, John Piper and Beth Moore have now just helped expose your youth to at Passion 2013. Are we really ok with that?